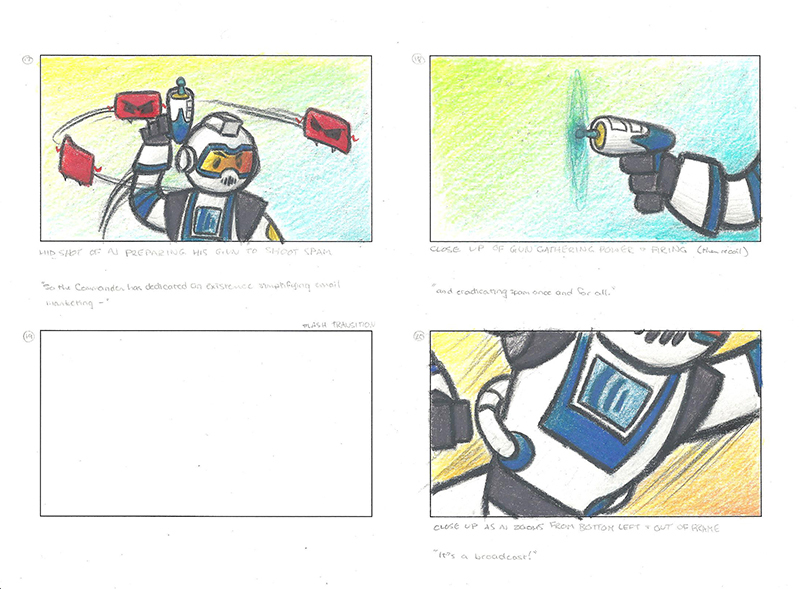 Close to the end of my co-op, my main project was creating an animation to introduce AWeber’s new mascot, Commander AJ. 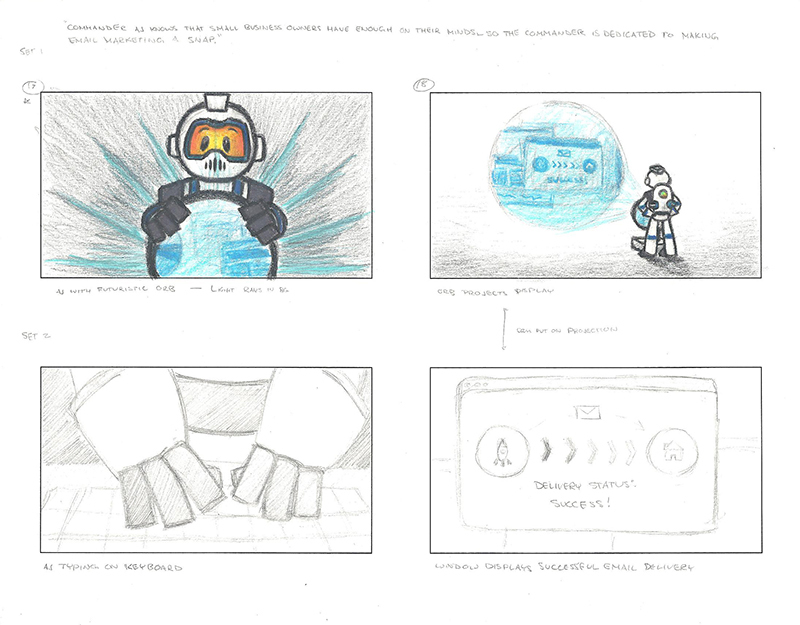 I collaborated on brainstorming ideas for the script and then had full responsibility for the storyboards, cleaning up and rigging the Illustrator files to use in After Effects, searching for audio to purchase for the background music, and blocking out timing and animations. 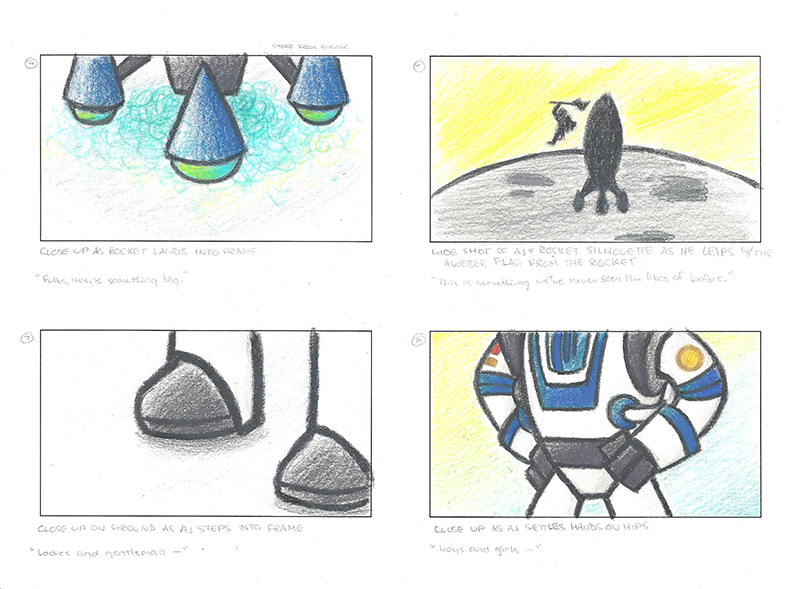 Scott Richardson, Motion Graphic Designer at AWeber, supervised and helped polish the animations and visual effects added to the final piece. 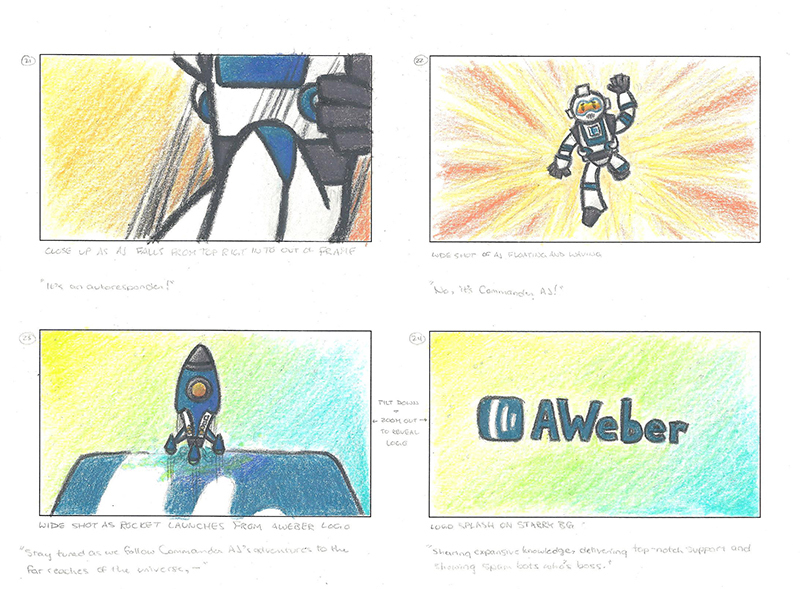 Introducing Commander AJ from AWeber Communications on Vimeo. 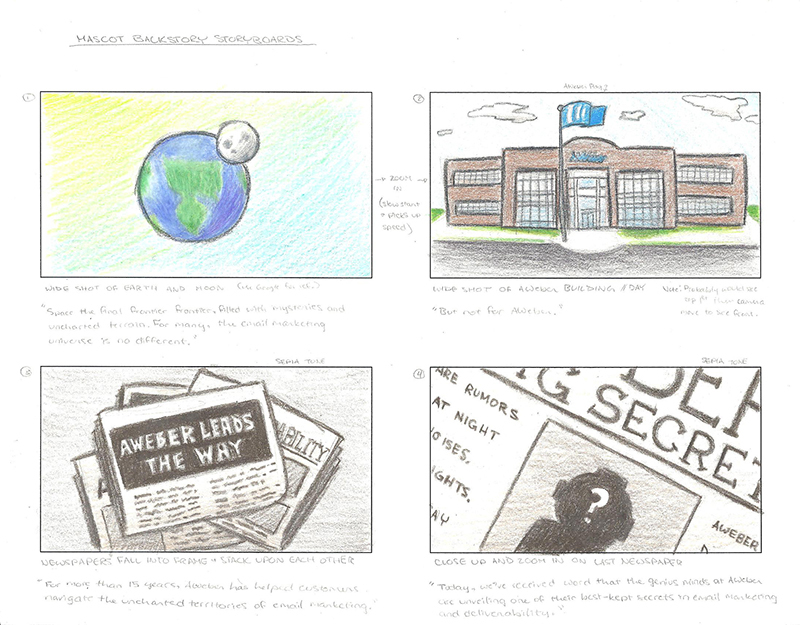 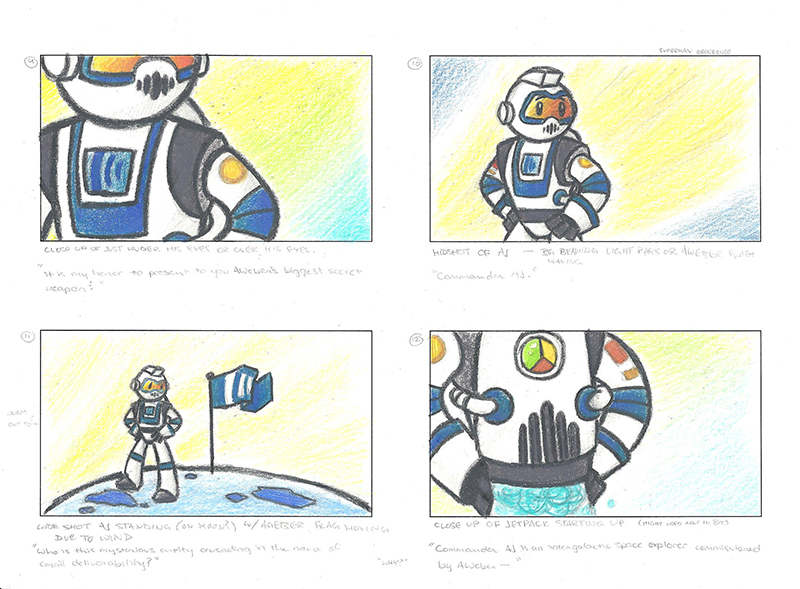 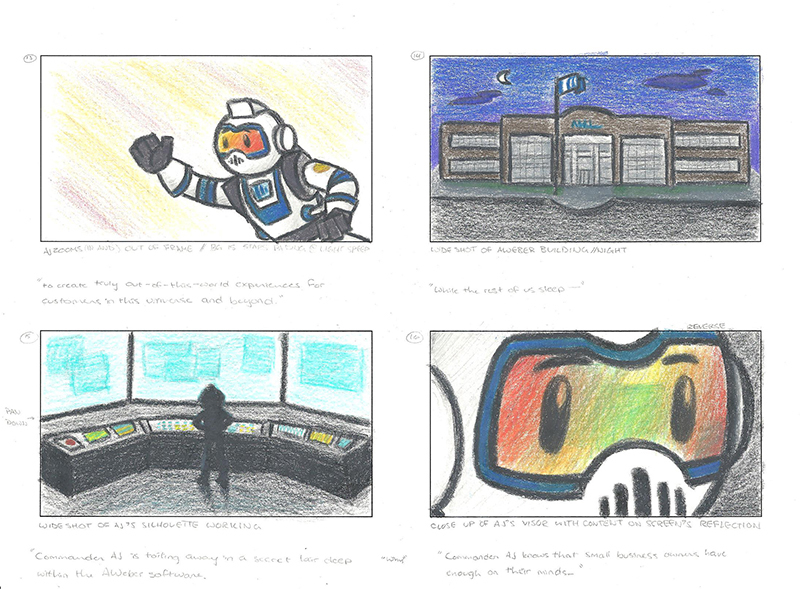 Below are the storyboards (with a few revised panels) I sketched and went over with color pencils to pitch the animation.